Venture into East Nashville for a day of outdoor fun! 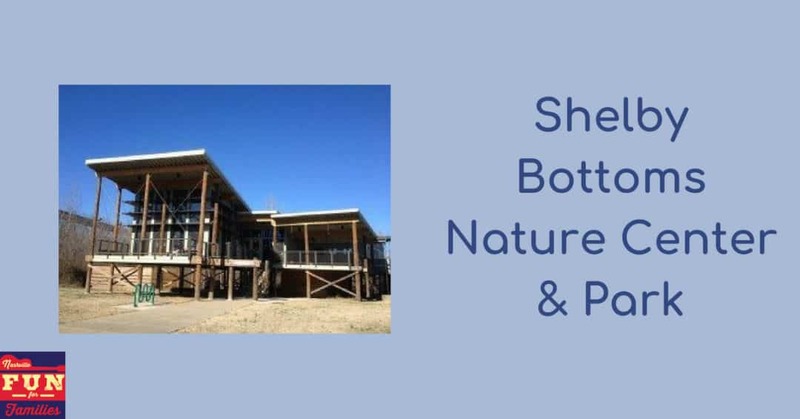 Shelby Bottoms Nature Center and Shelby Park are great to explore! We always hit the Nature Center first. To get there drive through Shelby Park past the golf school and the playscape and head toward the railroad bridge. You may get lucky and see a train passing overhead. My kids love to watch. The road curves to the left and then on your right there is a sign for the Nature Center that directs you to the parking area. Shelby Bottoms Nature Center is free and you can do a walk in visit or join them for many scheduled programs. The Center regularly produces free scavenger hunts for kids to do on holidays. We have done a green themed hunt for St Patrick’s day and a winter hunt for MLK Day in January. Both hunts had indoor clues (so you can explore all there is to offer in the Nature Center’s building) and outdoor clues on the grounds and trails in the area. To find out about future hunts and more check the schedule here and enter “Shelby” as the keyword. After you check out the Nature Center make sure to see the surrounding grounds. There is a slide from the boardwalk down to the field that my kids love. There are short trails around the Nature Center for small kids to explore (think 100- 200 yards) as well as the network of trails that comprise the Shelby Greenway. There are over 5 miles of trails to explore. It’s a great area for a walk with the family dog or a bike ride. If you don’t have a bike or can’t get your bike to the Greenway you can rent one at the park. Check out this link for details. If your kids are not interested in walking there is more to check out. The Nature Center has what my family calls “the dirt playground”. Be prepared when you visit. You may want to bring a full change of extra clothes and a plastic bag to put the dirty stuff in – this play area is meant to allow your kids to play in the dirt. Mudpies, dirt tunnels, waterways – let your kids’ imagination run wild as they create with dirt and water. There is a sand area and a Natural “hut” to explore as well. The entire area is fenced which is great to help keep little ones close to you. 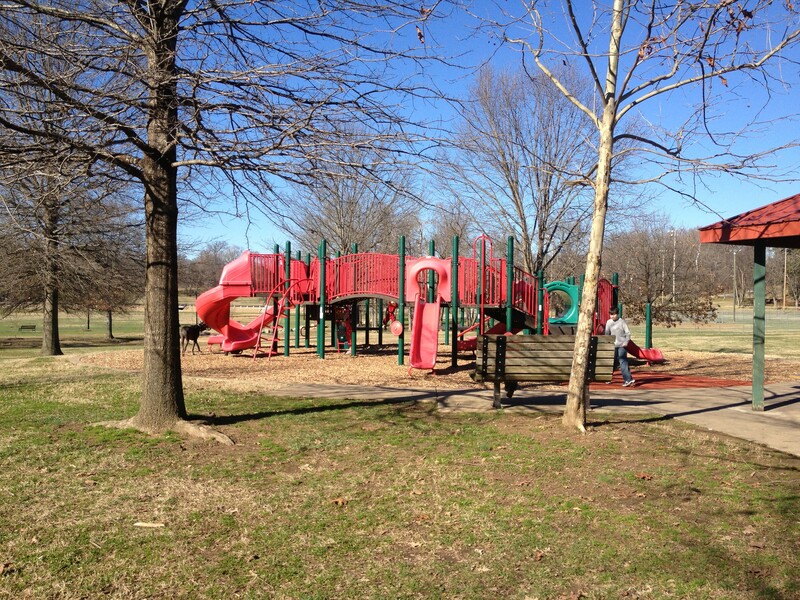 And if you have kids that like to stay clean there is a large playscape with swings and a covered picnic area in Shelby Park. Just drive back out of the Nature Center parking lot and you can’t miss it! Hours: Nature Center: Tuesday, Thursday and Saturday: 9:00 am – 4:00 pm Wednesday and Friday: 12:00 – 4:00 pm, Closed Sunday and Monday. Shelby Park is open daily from dawn to 11 PM.